Your tailor made outdoor cooking solution. Our prices includes assembly and kitchen installation in the Sydney metro area*. Mix and match your Barbecue (or three!) with fridges, drawer units, cupboards, wok cookers & sinks. 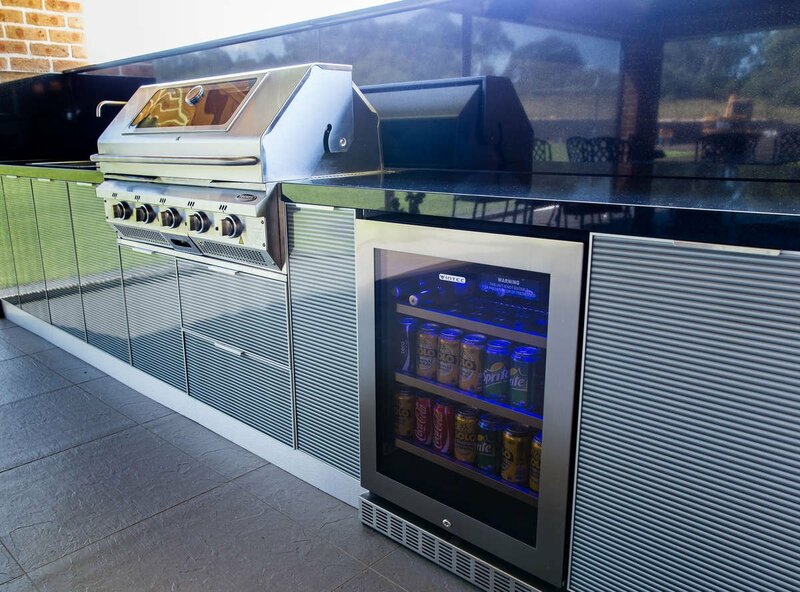 Because we install the entire system of your chosen barbecue, cabinetry and appliances, your warranties complement each other for peace of mind and ease of contact. See our full selection of bench tops here. Finish your kitchen look with a variety of colours and designs. 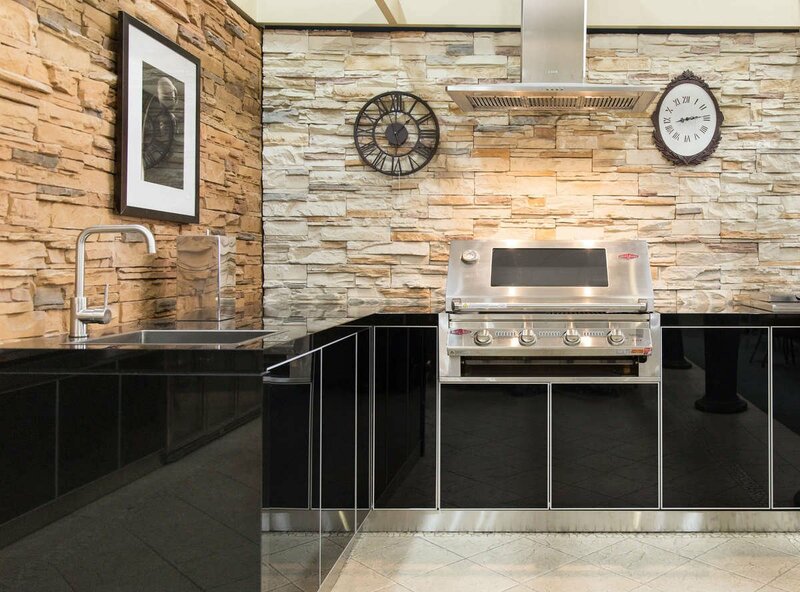 We have a massive range of colour glass doors and laminam ceramic doors so you can match your stone door with your stone laminam benchtop to create a seamless look. See our full selection of glass and stone doors here. Our module units can be tailored down in size, so if you need a kitchen that's 326.5cm long, we can do it. We even have corner units so you can make the most of your alfresco area along multiple walls. Place your kitchen in the middle of your space to make it a gathering point. We can complete all our units with back walls to create islands. We can even customise breakfast bars to complement your dream outdoor kitchen. *Electrical points, water fitting and gas bayonets need to be installed by your electrician and plumber. Online pricing is for Sydney metro installation. We can also quote for Wollongong and the Central Coast areas with an extra charge.